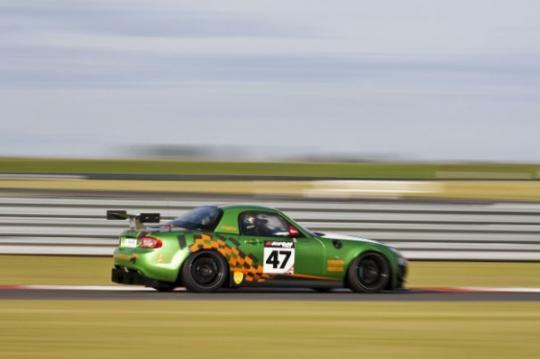 Mazda UK used an MX-5 for competition in the Avon Tyres British GT Championship and the MX-5 takes on established GT cars from Lotus and Aston Martin. A race at Brands Hatch in the month of June brought the first podium finish (third place) for the team and in August, the team won second place in another race. 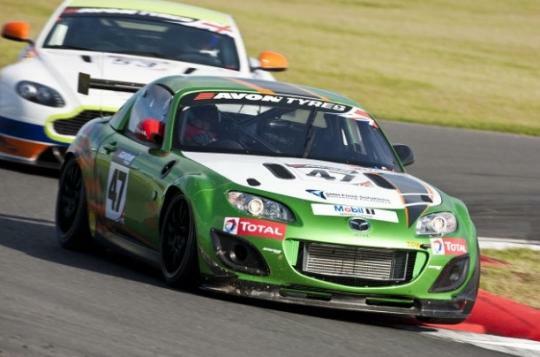 Following the success of the Mazda MX-5 GT4 race car in the Avon Tyres British GT Championship, Mazda UK and Jota Sport will be building customer MX-5 GT4 race cars to order for use in the 2013 season. The Mazda MX-5 GT4 is built by Jota Sport costs around �125,000 (excluding tax) and it weighs around 1000kg. The car will benefit from further development during 2012 and will be a fully homologated car for GT4 racing. The car is fitted with a turbocharged MZR engine that makes around 320bhp and will come ready to race. Each car will benefit from technical assistance from Jota and an extensive parts supply for those unforeseen racing accidents. Below is a list of standard and optional equipment available for the Mazda MX-5 GT4.